The land of pasta, pizza, the Pantheon and Pisa is still one of our favourite travel destinations. With so many places to visit in Italy, it’s no surprise that tourists have been flocking to this romantic, architecturally blessed, foodie heaven for centuries. From the wood fired ovens of Naples and the sumptuous wines of Tuscany to the crumbling ruins of Rome and the romantic canals of Venice, Italy has enough to seduce even the most sceptic of travellers. Those who believe that “Italy is too touristy” are often still intoxicated by the cobblestone back streets, the passionate street music and the picturesque cafes that spill out onto the streets at every corner. This is a place that you will fall in love with and it’s almost a guarantee that you will return here. We spent over a month in Italy and we’re still dying to go back. 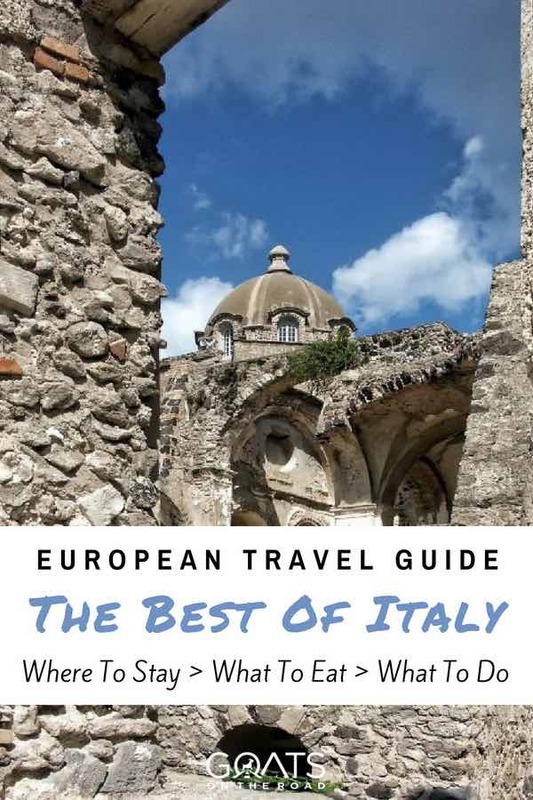 In this article, I’m going to highlight not just the places we’ve visited, but all of the best places to visit in Italy. One day, we hope to see them all and hopefully this list will give you some ideas for your next trip to Europe’s big boot. The best time to visit Italy really depends on what part of the country you plan to visit, what activities you want to experience and if can handle the heat! If you’re into winter sports, then the low season might be for you, but if you want to experience Italy with fewer crowds and an ideal temperature, then shoulder season is probably the best time to go. Summer is the high season in Italy, but August is so hot that fewer people actually visit during this time, however this is when Italians go on holiday. 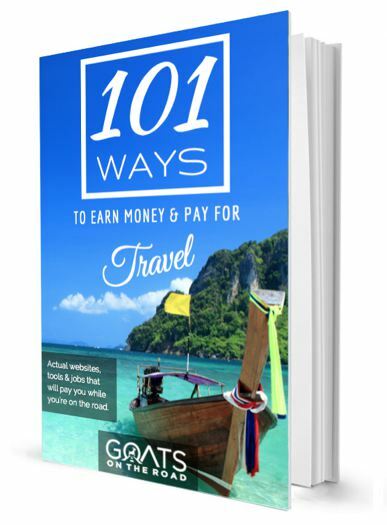 Because they tend to travel to other parts of Europe, there is actually more availability for hotels around this time, but the heat can definitely be oppressive, especially in the south and in the cities. Mid-May to July is a very busy season in Italy because the weather isn’t too hot, but not too cold and all hotels and sites are open. The beaches are warm enough for swimming and people are planning their first holiday of the year after Christmas. This is considered peak season. Again after the summer heat dies down, there’s a secondary peak in September when people come to enjoy the fall colours and temperate weather. Of course, different places to visit in Italy have different climates, but generally this is a great time to go. Shoulder season is our favourite time to visit Italy, particularly late March and April, when the weather warms up a bit (perfect for sightseeing), and there aren’t too many travellers. The hotel costs are also much lower around this time, but beware of Easter when the country (particularly Rome and around Vatican City) becomes extremely busy. Hotel prices soar and it’s hard to find rooms. Other than the few days around Easter though, the country is not too busy, the sites aren’t packed and the hotel prices are great. In general, no matter what places in Italy you choose to travel, shoulder season is our favourite time to visit. Winter is low season in Italy mainly because it’s really cold and most people choose to visit warmer destinations during this time. Many hotels and some sites actually close down in the low season, but those that remain open often have huge discounts. It’s nice to enjoy the cities and sites without the crowds, but sometimes the ambiance dies along with the tourism season. If you’re into winter sports however, this is the time to visit. 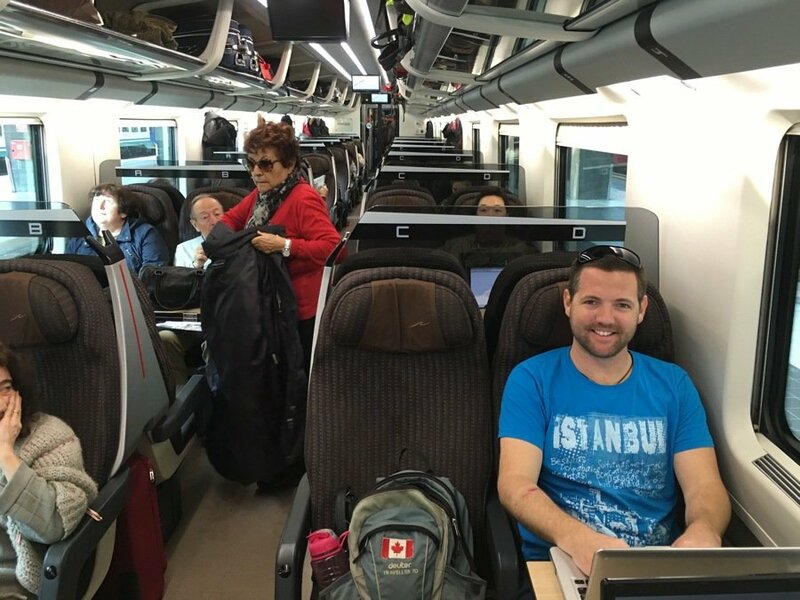 Our favourite way to get around the various places to visit in Italy is by train, but there are also good bus connections, decent domestic flights and some affordable multi-day, multi-city tours. Trains however, are comfortable, affordable and offer the best way to see the Italian countryside when getting from point A to point B. 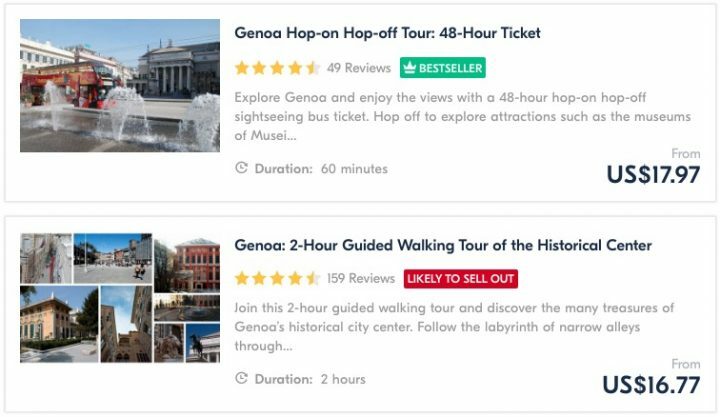 If you’re looking to book tickets online, check out GoEuro. They search loads of different partner websites to find the best rates on buses, trains and planes across Italy and the rest of Europe. They also have a super-useful app that makes it easy to book trains and navigate the transportation options in Italy. I like using their app to search for transport options between destinations because you can easily bring up options between two cities (ie: Rome and Venice or any other places on this list) and then you can simply switch between the tabs in the results to compare the prices and times between buses, trains and flights. 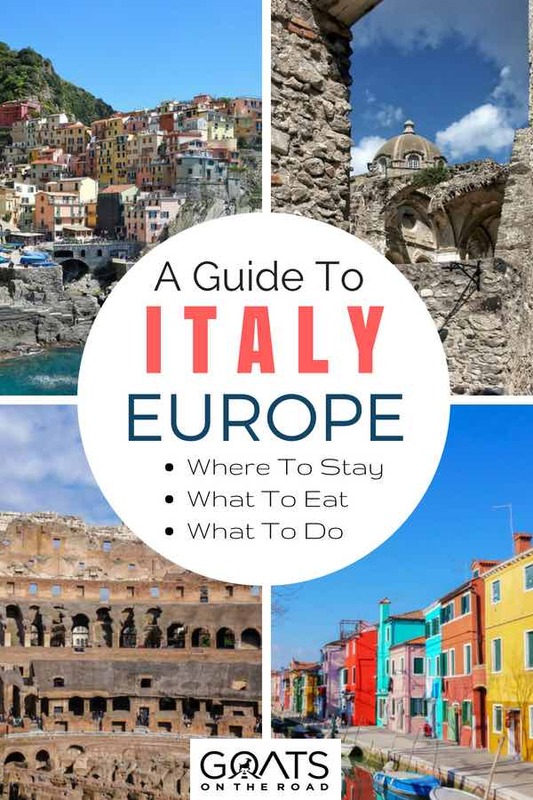 They also have a good list of destinations and a blog with different places to visit in Italy, what to do, what to expect and where to eat. Perhaps nowhere in the country is the Italian connection to the soil, the food, the wines and zest for life as prominent as in the north of Italy. If you’ve only visited Venice, you’d be forgiven for thinking otherwise, but outside of the quiet canals and growing casino scene of Italy’s biggest tourist draw, there lies hidden villages, dramatic coastal terrain, inspired cuisine and near perfectly preserved architecture. Here are our favourite places to visit in northern Italy. Technically pronounced chinkway tayreh and meaning “5 islands”, Cinque Terre is a region of five historic towns along Italy’s Ligurian Coast that appears on most people’s travel bucket list. 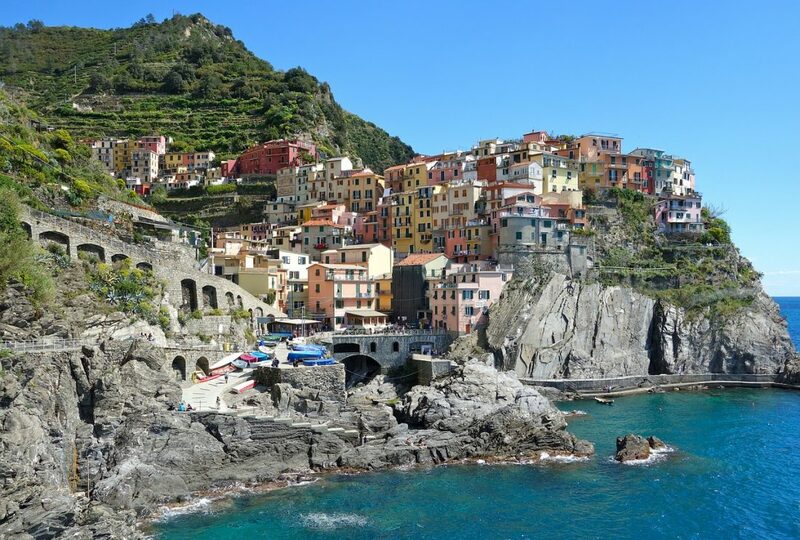 The tiny villages of Manarola, Monterosso, Vernazza, Corniglia and Riomaggiore used to be little more than fishing villages, but today they attract thousands of visitors from around the world and together form one of Italy’s main tourism draws, Cinque Terre. Most tourists choose to hike between the villages along one of the many picturesque trails that weave their way through the towns, up and down the hills and along the dramatic coastline. Now designated as a Unesco World Heritage site, Cinque Terre is well-preserved, well-signed, well-trodden, and well-worth a visit. It’s no wonder why so many people list Cinque Terre as one of their favourite places to visit in Italy. Riomaggiore: The largest of the five villages in Cinque Terre and the unofficial capital of the coast, brilliantly colored buildings all tumble-down a steep ravine towards a tiny harbor. Be sure to see this place at sunset when it’s aglow in the late afternoon sun. Manarola: A bustling fishing village surrounded by grapevines that produce the famous Cinque Terre wine, Manarola is the perfect place to experience what everyday village life looks like in the region. Corniglia: Surrounded by vineyards and perched atop a 100 meter high cliff, this tranquil village maze of cobbled streets and stone terraces is the only one of “the big 5” towns in Cinque Terre that doesn’t have direct access to the beach, but it’s the only place where you can get that perfect picture of all 5 villages together from this high-altitude viewpoint. Vernazza: Narrow lanes known as caruggi make up a romantic labyrinth of stairs, terraces, balconies and amphitheaters all facing the brilliantly blue Mediterranean Sea. Check out the Piazza Marconi and come in the afternoon when the pastel-colored buildings are at their brightest. Monterosso: Always in the shadow of the more charming villages in Cinque Terre, Monterosso still has its worthy qualities aside from being the most easily accessible town and the only one with a proper beach. It also has lemon trees and you can purchase fish right from the fishermen in the harbour. Instead of listing each of the villages in Tuscany, I’m just going to list the entire region and tell you that you should spend at least a week here, exploring the many villages, vineyards, cathedrals and cobblestone back streets. I highly recommend basing yourself in Florence and then travelling out from there. Florence is still one of our favourite places to visit in Italy, and while it’s a very special city, it is the surrounding villages and landscapes that really add to its allure. There are some amazing tours available which I’ll list below. We did a wine tour that also brought us to many nearby towns which was a great way to see the region while sipping on some of the vintages that made this area of Italy so famous. 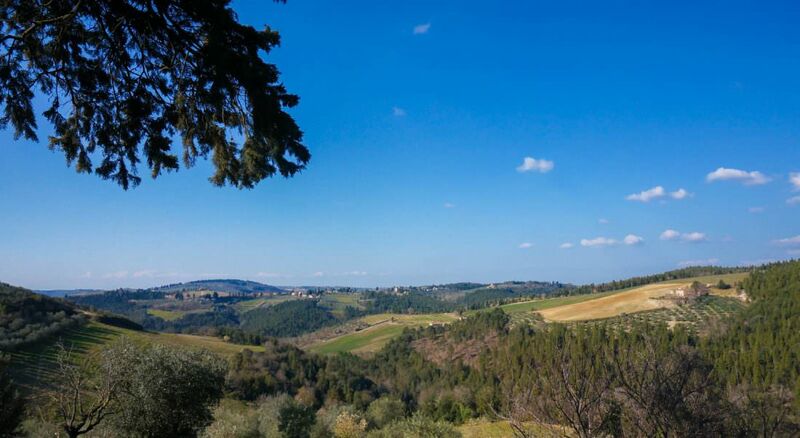 If you choose to rent a car for your visit, you could also explore on your own, but I found the guides to be invaluable for learning about the history, culture, cuisine and viticulture of Tuscany. Florence: The perfect base. Florence’s Duomo is truly a sight to behold. 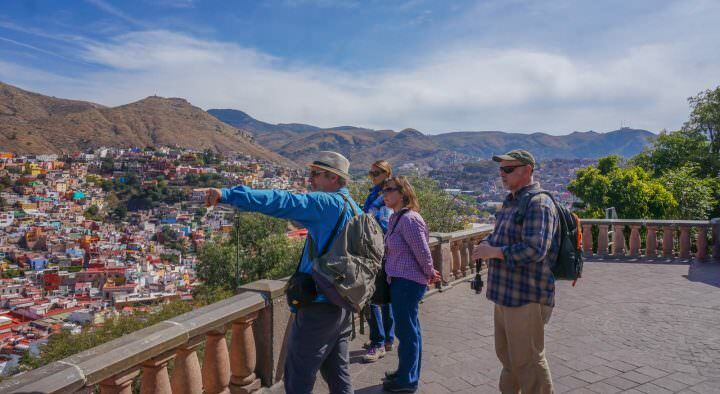 There are also some great walking and wine tasting tours within the city. Without a doubt, Florence is one of the best places to visit in Italy. Siena: A classic medieval hill town in Tuscany famous for its large fan-shaped piazza the Piazza del Campo, which features an imposing bell tower, the Torre del Mangia. San Gimignano delle Belle Torri: This small medieval town dates back to the 8th century and is probably the most famous of Tuscany’s small towns. San Gimignano boasts 14 medieval towers and narrow alleyways, all overlooking olive groves and vineyards. Best known for its high-end fashion factories, fancy boutiques and super shopping, Milan also has some of the country’s most stunning architecture and historical sites as well as its best bars and most chic cafes (usually Milanese don’t distinguish between the two). There’s a considerable amount of rain in Milan and the locals often don’t speak English, but that’s never deterred the enormous number of tourists who flock to this haven for high fashion hand bags and top-end restaurants. Take your time and get lost in the lesser known areas of Brera, Corso Como, and Navigli and find a Milan that is miles away from what you likely expected before your arrival. Castello Sforzesco: The former fortress and residence of Milan’s most powerful rulers is now a campus for some of the city’s best cultural institutions. Duomo: Milan’s Duomo is considered the largest and most fascinating Gothic complex in all of Italy, which is no surprise because it took about 500 years to build! Monumental Cemetery: A cemetery may not have been at the top of your list of places to visit in Italy, but once you see the architecture that makes up the Monumental Cemetery, you’ll see why it’s considered such a must-see site. For some reason, despite all of they hype for this infamously romantic canal village in Italy, we weren’t overly impressed. Don’t get me wrong – aesthetically, Venice was breathtaking and is still one of the places to visit in Italy that you shouldn’t miss. To us, Venice felt so touristy that is was almost completely devoid of what makes Italy so amazing. Even the local businesses here were run by foreigners with many Russians buying up gorgeous old buildings and converting them into large hotels or (even worse) casinos. On the surface, Venice is still one of the most beautiful places to visit in Italy, but as you dig a little deeper and find out that many Venetians have sold up and moved to the mainland and very little true culture actually remains here, the place becomes somehow tainted. 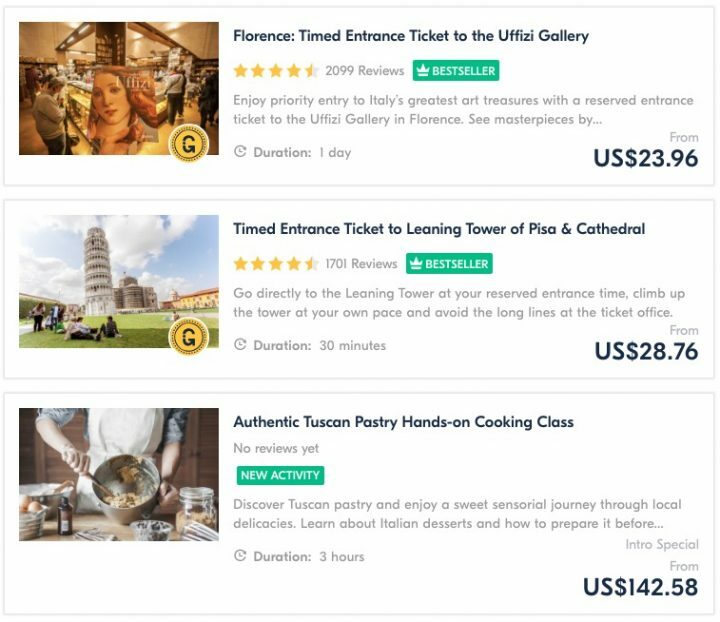 That’s not to say it shouldn’t still be on your bucket list of places to visit in Italy, but you may find that it lacks the food, culture and day-to-day life of places like Rome, Naples and Florence. Canal Tour: You have to hop on a boat and be gently paddled around the canals for at least an hour. 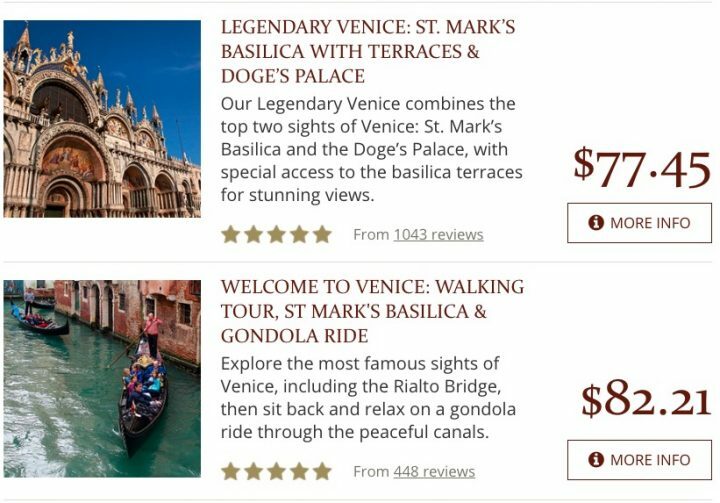 If you don’t, you’ll be the only tourist to ever visit Venice without actually venturing on a traditional gondola. 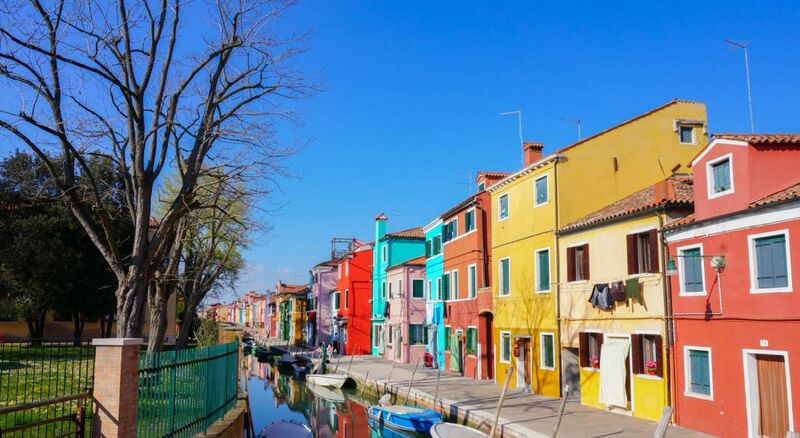 Murano & Burano: Don’t miss these two nearby islands. Colourful, quaint and picturesque. Piazza San Marco: Packed, chaotic and oh so gorgeous, this piazza is home to Saint Mark’s Basilica. It’s a stunning place, but just know that the lines here are enormous! If you actually want to go inside the basilica, join a tour so you can skip the horrendous lines. The Grand Canal: The main canal in Venice, this is a great place to chill, stroll, enjoy an aperitivo or a gelato and people watch. Filled with flea markets, tasty aperitivo, an Egyptian museum and lovely back streets, Turin is another rain-prone tourist hub with a lot to offer visitors. If you expect to spend a lot of time enjoying cultural activities abnd excursions, you should definitely pick a special tourist card. These are sold at ticket kiosks and many hotels around the city and can save you a lot of money on entrance fees around Turin. You may feel like you’ve temporarily stepped into Paris as you meander through the bougainvillea draped, cobble stoned streets and tuck into tiny cafes for espresso and pastries, but Turin has a personality all its own. With a history of chocolate, booming contemporary art and architecture, a growing live-music scene and innovative food and wine culture, Turin has enough to keep you busy for a while. Piazza Castello: Also known as Castle Square, you’ll find this site in the centre of the city. It is surrounded by arcades on three sides, each of which were built in a different period. Palazzo Reale: Actually the home of the royal family from 1660 until the Unification of Italy in 1861. The State Apartments in the Palazzo provide a fascinating glimpse into the architecture, history and life of old. The Egyptian Museum: Perhaps an Egyptian museum wasn’t the first place to visit in Italy that came to mind when planning you’re trip, but thanks to Bernard Drovetti, the French Consul General in Egypt during the Napoleon wars, this museum has the largest collection of Egyptian relics and sculptures outside of Egypt. Still one of the country’s most intriguing and intoxicating, yet undiscovered cities, this Italian Riviera gem should definitely be on your list of places to visit in Italy, especially if you like to get a little bit off the beaten path. Sitting right on a one of Europe’s best stretches of coastline, Genoa boasts fantastic art, culture, history and architectural marvels. The former Republic of Genoa ruled over the Mediterranean waves during the 12th to the 13th centuries and this history is still vividly etched into the endless labyrinth of twisting caruggi (narrow streets), pasted in the gold-leaf halls of Palazzi dei Rolli and painted with the brush strokes of Caravaggio. Piazza de Fararri: Featuring a central fountain and fringed by a bold mix of 19th-century architecture, this is one of the city’s most beautiful plazas. Porta Soprana: Just a few minutes from Piazza De Ferrari, the Porta Soprana represents some of the last standing examples of a once great city wall. Today the two towers and arched gateway make for a great walk and pretty photos. San Lorenzo Cathedral: Also known as Genoa Cathedral, the church of San Lorenzo has architecture that may remind you of the Florence Cathedral, with a striped marble stone facade. Lucca: This hidden gem is just a short train ride from Florence and features cobblestone streets, elegant palaces and churches all surrounded by an imposing Renaissance-era fortification wall that is now the perfect place for a stroll or a bike ride. Bologna is a newly booming tourist hub which sees more and more visitors each year. Despite its size, the city is very easy to visit thanks to its medieval grid-like design. If you enjoy delicious cuisine, unique character, elegant shopping and quirky architecture, then Bologna is for you. The city’s gastronomic specialties include pasta and sausages, but you can truly get lost in the cuisine of this important Emilia-Romagna capital, and you’re likely to leave a bit heavier than when you arrived. 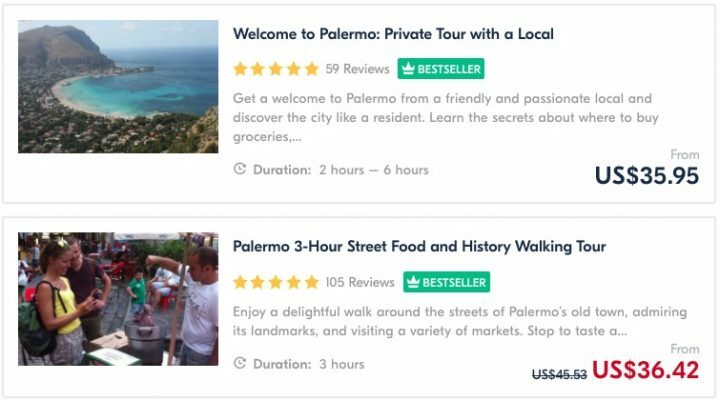 Thanks to its easy accessibility, old town, cool vibe and fun nightlife, this is one of the up-and-coming places to visit in Italy and many digital nomads are now flocking here to live and work long-term. Not only is Bologna a great destination in itself, but there are numerous day trips from Bologna that you can take, making it a great base to see the surrounding areas. Check out the amazing food options in “Food Valley”, the Ferrari Museum in Modena and the beautiful beaches of Rimini…to name a few. All’Osteria Bottega: If you want a true foodie experience in Bologna, don’t miss this amazing osteria. Try the culatello di Zibello ham, Petroniana-style veal cutlets (breaded, fried and topped with Parma ham and parmigiano reggiano with a sumptuous salty broth). Quadrilatero: Still holding onto its ancient tradition, the old market of Bologna was one of the greatest developments in the Middle Ages and kept its trade and bustling energy throughout the centuries. Wander around and watch as goldsmiths, butchers, fishermen, meat curers, barbers and painters go about their business under the high vaulted ceilings. Torre degli Asinelli: The leaning towers of Bologna are a group of medieval structures in the center of town. The two most prominent ones, known as the Two Towers, are the landmark of the city and shouldn’t be missed on a visit. Do as the locals do and arm yourself with an ice cream as you stroll along one of Verona’s most famous shopping streets, the Corso Porta Borsari. Gaze up at the well-preserved Roman gate as you pass under its great arches before slowly making your way to the quiet Piazza dei Signori. Verona is known as city of love thanks to its magnificent Arena and its association with Shakespeare’s love story, “Romeo and Juliet.” This Unesco listed world heritage site is Italy’s fourth-most-visited city making it one of the most important tourist destinations in the country. Arena di Verona: You may have already had the Colosseum in Rome as one of your top places to visit in Italy, but Verona has its own well-preserved Colosseum. Built just 30 years after the death of Christ, this remarkable structure has stood in impeccable condition for nearly 2000 years and awaits your “oohs and ahhs”. Castle Vecchio: Located on the banks of the River Adige, this 16th century castle is an important structure in the city as it once served as its primary defence and was regarded as the greatest feat of engineering during the time of the Scaliger Dynasty. Basilica of San Zeno Maggiore: Located on the western side of the Adige River, this basilica is one of the most important religious buildings in Verona and was the fictional venue for the marriage of Romeo and Juliet in Shakespeare’s famous novel. This riverside city of Parma may be synonymous with food (think: Parma ham and Parmesan), but it also satisfies appetites for art, music and history. Tapping into many of the things that make an Italian city so special – religious monuments, art, food, architecture, theatre, music, and history – this compact metro-area is actually very easy to walk. Many visitors choose to get around by foot. Eating Parma-ham and Parmesan: Obviously you don’t want to leave Parma without the sampling some of the city’s meat and cheeses. See the food and wine tours below for the best way to find, learn about, taste and purchase these Parma specialties and more. Galleria Nazionale: The National Gallery of Parma focuses on artwork from the 17th, 18th, and 19th centuries. Inside you will find some works by van Dyck, Da Vinci, Barbieri, Allegri, and many others. Cattedrale di Parma: Take a walk around the 11th century dome of Romanesque Cathedral of Parma to find frescos by Antonio da Correggio. Together with the Baptistery of Parma, the Cattedrale usually hosts art exhibitions and educational workshops. A city at a crossroads, this impressive and historically important port town has been captured by Romans, Venetians and the Hapsburg monarchy and the Germans during WWII. Despite, or perhaps because of this tumultuous past, the city has formed a unique and vibrant culture that enjoys a blend of Austrian, Italian and Slovenian influence. Geographically isolated from the rest of the Italian peninsula, it’s no surprise that Trieste is a place all of its own, and despite not having a single site worthy of writing home about, it’s still an enchanting place to visit in Italy and has been an escape for writers, exiles and misfits over the years. Today, its Slavic, Jewish, Greek, Germanic and Italian cultures intertwine to create a city of cafes, bars, buffets and wines. Bagno Marino Lanterna: Hidden behind the Trieste’s abandoned 19th-century lighthouse, this pebbly beach is worth checking out, despite being segregated by gender! Castello di Miramare: Commanding a rocky outcrop 7km outside of town, Castello di Miramare was built in the 1800’s for Austrian Archduke Ferdinand Maximilian and his wife. Piazza dell’Unità d’Italia: The main square in Trieste, this piazza is set at the foot of the hill with the castle of San Giusto and facing the Adriatic Sea. It’s often said to be Europe’s largest seaside square and is definitely worth a visit… in fact, it would be hard to miss this one. This rich industrial city sits between the foothills of Valtrompia and Lake Garda. More famous for its manufacturing of weapons and kitchen accessories than it is for any facet of tourism, the city itself is home to several interesting museums, but little else. 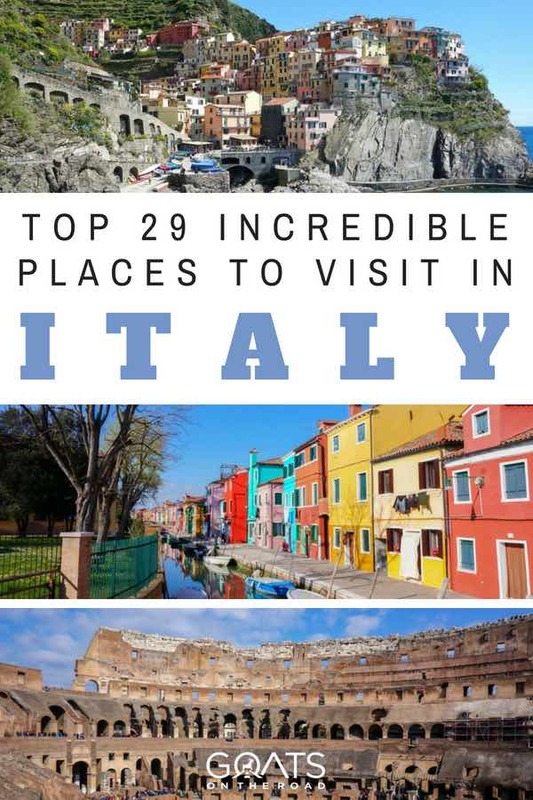 So why is it on this list of places to visit in Italy? Well, many people choose to visit Brescia as a less touristy part of their itinerary and find charm in the fascinating old town, which attempts to compensate for the city’s otherwise unappealing urban sprawl. The narrow streets of the old town are where you’ll find some important Roman ruins (some of the best examples in the entire province of Lombardy), a few nice restaurants, some frescos in the corridors of the medieval monastery and a collection of 2000 year old architecture. Tempio Capitolino: These old Roman ruins are the last remains of what was once the city’s public forum during the Roman Empire, built by the emperor Vespasian. Old and New Duomo: This pre-renaissance church has an enormous stone dome and large crucifixes that date back to the 12th century. While you’re here, pop in next door to the city cathedral which was built over 150 years ago and boasts the third largest dome in Italy. The Castle: Built in the pre-Roman times and last fortified by the Venetian overlords of the 16th century, this castle was once the city’s stronghold and it still houses museums of armory and provides picturesque views of the Valtrompia alps which fringe the city itself. Perhaps best known for the Monza Race Track (often home to the Formula 1 Grand Prix), this city lies just 20km northeast of Milan and is often considered a satellite town that has been pretty much fully incorporated into the fashion-capital. Despite the large shadow of nearby Milan, Monza still impresses (its very few) visitors with lovely architecture and a deep and rich history. Villa Reale: Built between the years of 1777 and 1780, this former summer home for Italian royalty was actually modelled after Vienna’s Schonbrunn Palace and boasts a 3500 square meter interior that’s covered in frescoes, stucco work and intricate gilding. Duomo: Yes… there’s another duomo on this list of places to visit in Italy, but this green and white striped facade is home to the Iron Crown (a medieval treasure apparently made from one of the nails used in Christ’s crucifixion), some nice frescoes and a gothic interior. 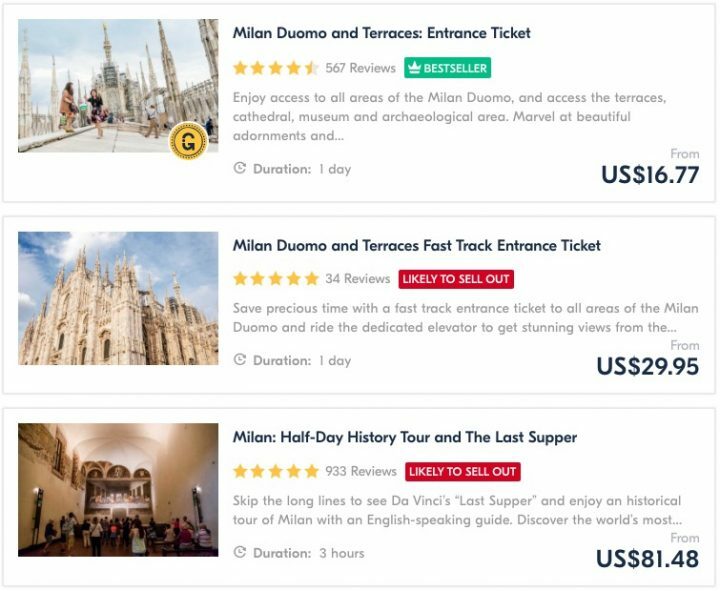 Museo e Tesoro del Duomo: Containing what is often regarded as Europe’s best collection of religious artwork, the Monza Cathedral Museum is a site not to be missed during your visit. Among the best pieces are a priceless collection of Lombard gold and an intricate stained glass rose window that is thought to date back to the 15th century. The town that sits on the lake of the same name, Como is a place you can spend a few days. The dramatic surrounding mountain landscapes, the pristine, calm waters of the lake and exquisite architecture make Como one of the best places to visit in Italy for sure. This isn’t the only village on this beautiful lake, so once you’ve finished soaking up the gothic ambiance of Como itself, take to the waters of Lake Como and enjoy a peaceful boat ride to visit one of the other lakeside towns such as Bellagio, Lierna and Dervio. 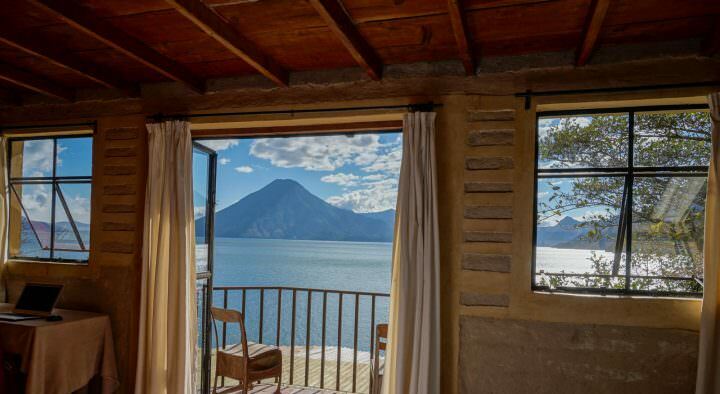 All of these towns offer great views across the lake, and plenty of restaurants and cafes. A Boat Ride: As I mentioned above, a trip to Como wouldn’t be complete without a ride on a boat to a neighbouring village. The surrounding mountain scenery is best viewed from the water. Funicular: The ride up the Funicolare Como-Brunate is definitely worth the €5.60 round trip. Walk the waterfront: The city is famous for its picturesque waterfront promenade, spend the day sauntering along here. Gothic Como Cathedral: With out a doubt this is one of the most important buildings in the region. It’s commonly described as the last Gothic cathedral built in Italy. By now on this list, we’ve started to list some places to visit in Italy that you never thought you’d find on your itinerary, and while Udine may not compete with the likes of Rome and Florence as far as tourist attractions go, beneath the sprawling urban suburbs you’ll find a medieval center with grand Venetian archways, Roman columns and Grecian statues carved to perfection. The old town is pretty much untouched and devoid of tourists, but also very lively as there are some great bars, restaurants and cafes and a surprisingly buzzing nightlife. Udine Castle: Perched on a legendary hill, supposedly built by the Gods, smack dab in the center of the historical area of Udine, this 16th-century castle took nearly 50 years to construct and now houses the History and Art Museum of the City of Udine. Udine Cathedral: Consecrated in 1335 as Santa Maria Maggiore and later damaged by an earthquake in 1348, the Duomo di Udine (Cattedrale di Santa Maria Maggiore) is a Roman Catholic cathedral and is currently the seat of the Archbishop of Udine. Piazza Libertà: Also known as Piazza della Libertà (previously known as the Piazza Cantarena), this is the oldest square in Udine and makes for a great place to stroll or grab some gelato, sit on a step and people watch. Barely sitting in the south, Rome is the nation’s capital, likely your jumping off point to the country and most definitely one of the best places to visit in Italy. There’s just something about this city. From the vibrant art to the buzzing street life scene, the thumping wine bars and the impressive Romanesque architecture, this capital boldly holds up its hand proclaiming to be one of the world’s most romantic, energetic and fascinating cities… and we have to agree. Note: The lines to see the sights in Rome can be extremely long. If you don’t want to waste your entire holiday standing in line with thousands of other people (yes, literally thousands), we highly recommend you take a tour. 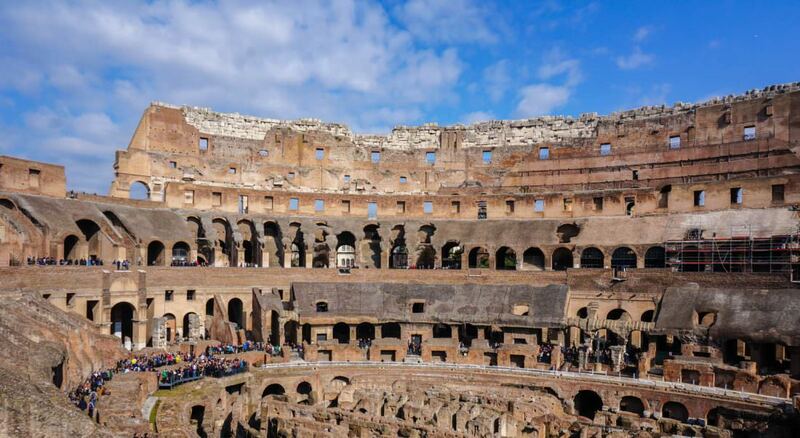 Walks Of Italy is our favourite tour operator in the country and they have the best tours of Rome, including the Vatican, the Colosseum, Trastevere and all of the main sights. The best part is… they skip the lines! Trevi Fountain: Coming around the corner to spot the Trevi fountain is likely an experience you’ll never forget. How a fountain can inspire such emotion, awe and chaos is beyond me. 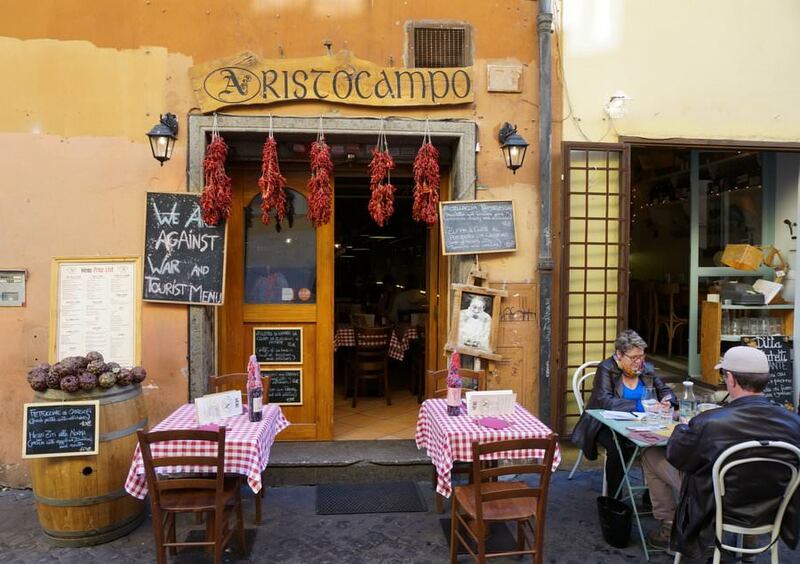 Trastevere Neighbourhood: This is without a doubt one of the most romantic places to visit in Italy, if not the world. Tiny cafes and restaurants spill their tables onto cobblestone streets, each with their own unique entrances – you’ll find yourself tempted to have 6 lunches a day. The Colosseum: Best visited with a tour (skip the lines), we loved our time spent at the Colosseum. Before visiting, we had no idea that it sat smack dab in the middle of the urban rush that is Rome, but when walking down a back street, through a park and simply stumbling across the Colosseum, our jaws dropped. This is Rome and it boldly throws its iconic structures at you from all angles. Pantheon: Another of the world’s most iconic structures in the same city? Yes… the Pantheon is stunning and a must visit. Vatican City: Okay… not technically “Rome” and, as its own country, not even technically “Italy”, if you can make your way through the dense crowds to actually buy a ticket, the Vatican is a sight to behold. Located in the Campania region of Southern Italy, this UNESCO World Heritage site covers 34 miles of dramatic coastal terrain, soaring cliffs, lush vegetation and technicolored Italian villages. Many people choose to hike between the villages on the Amalfi Coast. 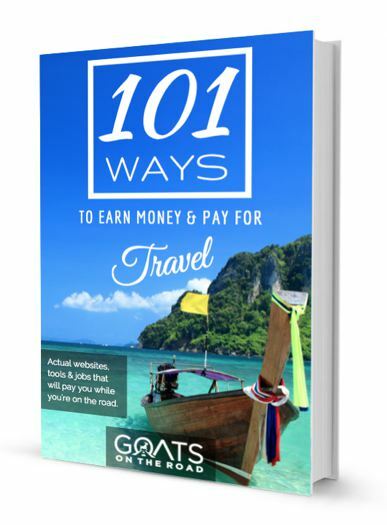 There are some tours that you can take, or you can head out independently. Just beware that in the summer months of July and August, the heat can be unbearable. Pack plenty of sunscreen, a hat and lots of water. The Amalfi Coast is one of the top places to visit in Italy for sure. Sorrento: The grand daddy of tourist towns in the area, Sorrento sits perfectly perched on a cliff looking out towards Vesuvius with a little fishing village down below. Positano: Out of all the towns in Italy that seem to tumble-down a hill and into the sea, Positano is undoubtably the most beautiful. The pastel-colored homes seem to cling to an impossibly steep cliff as they spill into the Mediterranean below. Capri: The whitewashed town of Capri is definitely worth a visit. Despite a devastating earthquake and subsequent tsunami that killed around 100,000 people in 1908, the 3,000-year-old city of Messina has flourished to become a thriving university town and a major transport and trade hub in Northern Sicily’s Ionian Coast. At first the city may appear to be dull, edgy and a bit grimy, with graffitied walls, empty stores and abandoned factories, but beneath the rough exterior lies an interesting Italian port town intersected by wide boulevards, a few historical buildings and decent cafes. Messina will likely be your introduction to Sicily as many of the ferries drop tourists off here, and while there are a few sights to keep you here for a day or so, there are definitely more appealing places in Sicily and on the Ionian Coast as a whole. Museo Regionale: A beautiful looking building located about half way up Messina’s sickle-shaped harbour, there’s an art collection inside, including the works of Caravaggio. Duomo: One of the city’s redeeming qualities, the Messina Duomo is located in front of the piazza of the same name. Inside you’ll find Italy’s largest pipe organ. Piazza Del Duomo: If the Duomo itself is one of the few sites worth visiting in Messina, then the Piazza where it sits definitely falls into the same category. A nice place for a stroll or to sit and people watch, look up at the enormous bell tower and stand in awe under the world’s largest astronomical clock. A city truly preceded by its reputation, Naples was likely on your itinerary, or at least on your radar before reading this list of places to visit in Italy. Famous for its crime rates and pizza, the city is gritty, at times grimy, somewhat dangerous, edgy and scruffy, in a way that may be interpreted as charming and charismatic or chilling and chaotic. 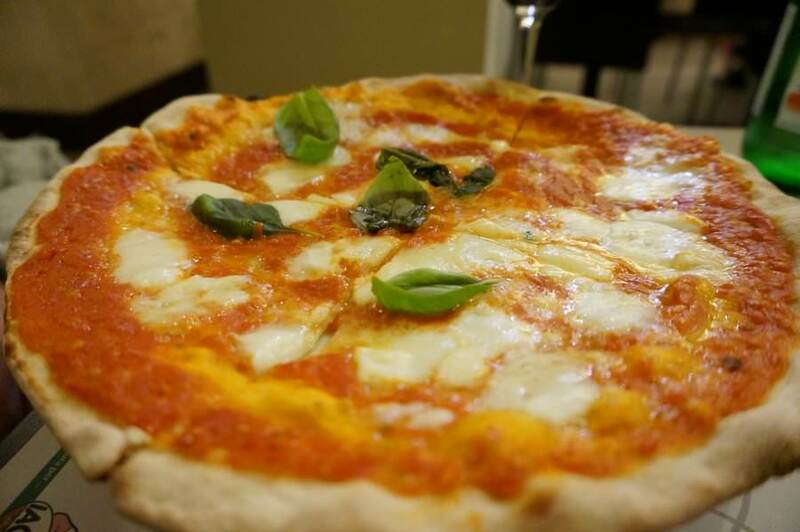 The birthplace of pizza is also one of the places in Italy where travellers are recommended to keep their guard up. If you’re smart and ask your hotel or guest house where to go, and where not to go, you should be fine. If you’re out late at night, take a taxi rather than walking back to your hotel. Don’t be afraid to get out and explore Naples. Tuck into tiny restaurants and pizza joints for some of the country’s best food. Pop into ancient roman ruins that boast the world’s oldest and best-preserved frescoes, and get lost in a maze of graffiti pasted buildings. Check out two (yes two) royal palaces and shop to your heart’s content in one of the city’s many artisan shops. 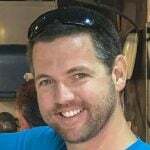 Eating Pizza: There are a ton of sights to see and places to visit in Naples, but you’re not not going to eat pizza right? This is probably at the top of everyone’s list when visiting Naples. Some places to consider include: Sorbillo (Centro Storico), Gorizia 1916 (Vomero) & Pizzeria da Attillo (Montesanto). Certosa e Museo di San Martino: One of the best examples of Baroque architecture found anywhere, this museum and former monastery complex was finished and inaugurated under the rule of Queen Joan I in 1368. Museo Archeologico Nazionale: The National Archaeological Museum of Naples is one of the country’s most important museums and houses a collection of ancient roman ruins from Greek, Roman and Renaissance times, particularly the artifacts that were discovered in nearby Pompeii. 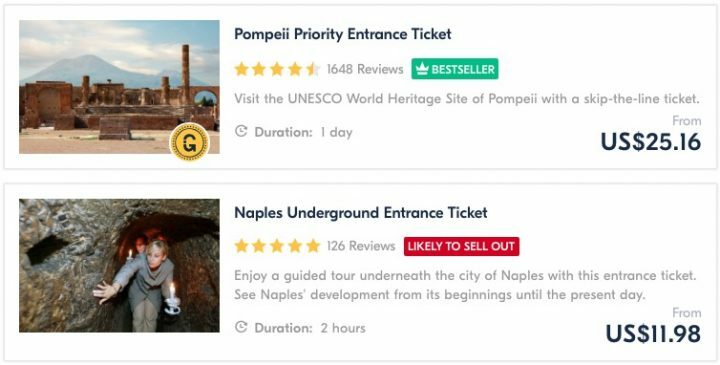 Pompeii is one of the most popular places to visit in Italy. This famous Roman city was once buried under 12 feet of volcanic ash for nearly two thousand years following the eruption of Mt. Vesuvius. The city is now strictly a tourism stop that is best visited as a day trip from nearby Naples. A guided tour is highly recommended so that you can truly understand the history and significance of this ancient city. (see tours above). It’s not just cities, villages and towns that make up this list of the best places to visit in Italy. Don’t miss the Gargano National Park in the Foggia province of southern Italy named after the mountain which stretches to the sky. This 291,940 acre National Park includes an Umbrian Forest which contains some of the country’s oldest trees. There are some great lodges in the national park and many people choose to spend a few days here, enjoying the nature and hiking around the many trails. Town Hop: The coastline of Gargano is blessed with a collection of small hillside towns and villages. Spend a day or two hopping from one place to the next. Some of the best villages include Peschici, Vico Del Gargano and Vieste. Beach Hop: While you’re at it, you might as well enjoy some of the stretches of sand and pebbles along the Adriatic! Arriana Beach Club is a great place to chill out and have a drink. Grotto Tour: Check out the cool coastline topography by joining a grotto tour and get a better understanding for how the Gargano coast has been etched over the millenia. There’s not all that much “to do” in Lecce, but the intoxicating old town makes for the perfect place to stroll around and get lost. Narrow cobblestone streets intersect each other under the shade of bougainvillea branches and stone balconies. The smell of fresh bread and pastry seems to waft from every corner and there’s enough gelato stops that you shouldn’t have to walk too far without a cone in hand. Only in the past few years has Lecce’s humble and charismatic nature started to appear on travellers’ radar, but once you visit, you may see why so many people choose this as one of their favourite places to visit in Italy. Roman Amphitheatre and Piazza Sant’Oronzo: A massive amphitheatre that once sat over 10,000 people, this stone structure still houses the occasional concert. If you’re in town for one, don’t miss it. Lecce Cathedral: Originally built in 1744 and rebuilt in the 17th century, this cathedral sits in Lecce’s most stunning piazza and is surrounded by ornate buildings including the bishop’s residence. Basilica di Santa Croce: The city’s best example of a baroque church, the building itself is worth a look, especially the grand columned interior. When you’re done, head to the nearby street which has a row of excellent wine bars. As more travellers start to flock towards the “heel” of Italy and to the Puglia region, Bari is seeing more and more visitors these days. The city’s main highlight is still its historical center. Once completely enclosed by medieval walls, the old quarter is a great place to get lost. 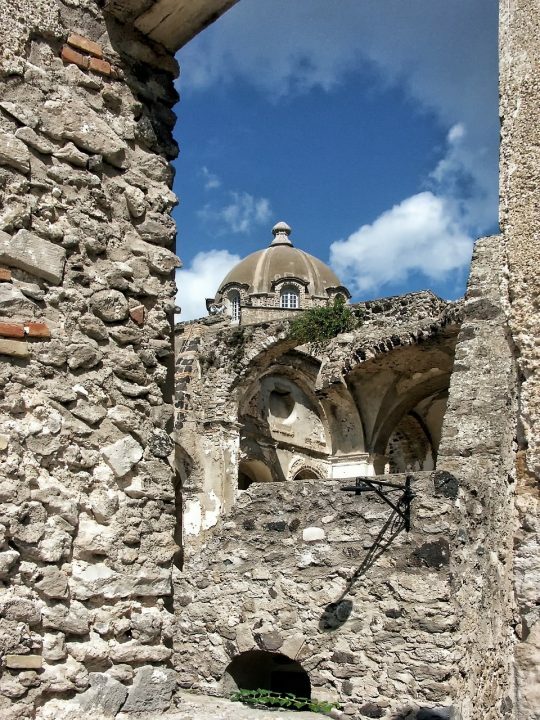 Inside the partially remaining walls, you’ll find churches, small quaint piazzas, narrow streets and a few theaters. Bari Cathedral – Originally from the 7th century and reconstructed in the 12th, this Romanesque and Baroque style structure houses 14th-century frescoes and still has some traces of the original mosaic floor. Castello Svevo: Originally constructed in 1131 there’s an interesting Museum of Gypsum Works and an exhibition space inside. Seaside Promenade: The perfect place for a stroll along the sea just outside the historic center walls. Come here in the morning when you can have the opportunity to spot fishermen hauling out their catch and selling it to bystanders in the small fishing harbour near the Margherita Theater. If you’re looking for places to visit in Italy that are comparatively less touristy, then you’ll definitely want to check out the island of Ischia. Nearby Capri (which we list next in this post) is beautiful without a doubt, but many visitors are put off by the hordes of tour buses, day trippers and tour groups that descend on the city every day. If you’re looking to get away from the chaos of Capri, then Ischia is just 15 minutes away and provides a much-needed retreat in the Bay of Naples. Most people land on the island and make a bee-line for the most popular northern towns of Ischia Ponte, Forio and Lacco Ameno. The latter two are probably the prettiest towns, while the former two have great bars and restaurants. There are enough cool little villages and towns on the island to take up a few days of your itinerary. Porto Ischia: Named for its port, this is the principal town of the island located on the northeastern coast of Ischia. The city of Porto Ischia is the jumping off point for most visitors as this is where most ferry services land on the island. Ischia Ponte: Ponte offers visitors some lovely sites, including Castello Aragonese. Lacco Ameno: Home to bathing pools and gardens, this is definitely one of the main villages tourists end up visiting on the island of Ischia. 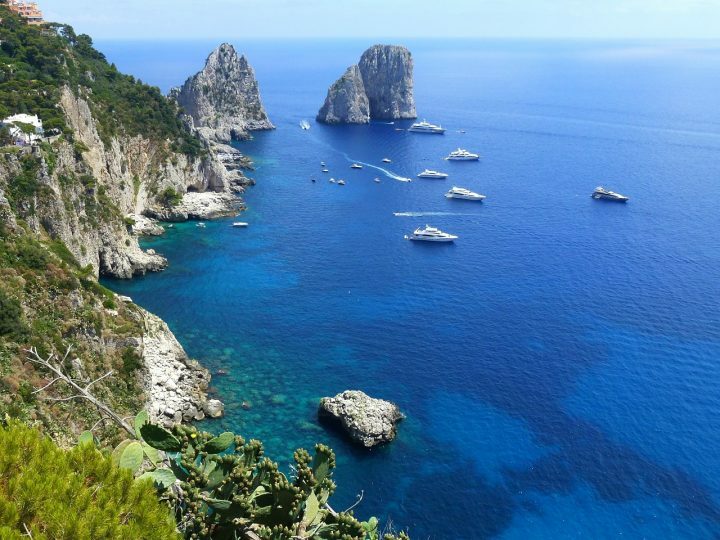 Without a doubt one of the top tourist destinations in the Bay of Naples, Capri has charmed visitors for centuries and continues to do so at a growing rate. The city’s sheer cliffs rising out of the Tyrrhenian Sea make for a luxurious escape where travellers are cooled by the near-constant breeze, yet warmed by the summer sun that bathes the Sorrentine Peninsula. Don’t worry, if you get too hot, there’s nothing more refreshing than a swim through one of the many nearby grottos. Or, why not slip out of the heat and into one of the city’s many tiny bars for a tasty aperitivo or gelato. The city is compact and accessible thanks to a great public transport system and pedestrian walkways. Home to one of southern Italy’s most famous festivals, Festa di Sant’Agata, Catania boasts a bold Baroque historical center, wonderful food, a buzzing nightlife, excellent street markets and dramatic views of Mount Etna which towers over the city’s rooftops. This is Sicily’s second largest city after Palermo and there’s enough charm and excitement to keep you here for a few days. Get lost in the historical center and trip over uneven cobbled sidewalks as you gaze up in awe at sites like Cattedrale di Sant’ Agata and the Fontana dell’Elefante (a stunning fountain). Basilica Cattedrale Sant’Agata: A true masterpiece of Norman and Baroque architecture, this massive church is located in the centre of the old town within the lovely Piazza Del Duomo. Ursino Castle: Sicily boasts many fine castles which serve as reminders of a time of conquest, attack and defence under the rule of Emperor Frederick II, but Ursino Castle still stands in impeccable condition with all four of its original walls and towers still standing. Mount Etna: An active volcano that towers over the city, Mount Etna stands at a height 3329m and is considered the tallest active volcano in Europe, recently blowing her top back in 2015 when locals actually saw visible lava spewing from the snow-capped peak. Best known for its beaches, being the gateway for the Abruzzo region and as the birthplace of the poet Gabriele D’Annunzio, the city of Pescara is fringed by the snowy peaks of the Apennine Mountains. Within the city, sixteen kilometer stretches of wide sandy beaches and superb food and wine explain why it’s a favourite vacation spot for young Italian travellers looking to take advantage of Pescara’s beach-side chilling and outdoor adventure. The Beach and Viale della Riviera: This 16-kilometer stretch of sand along the Adriatic coast is what attracts so many visitors. The long promenade known as Viale della Riviera is the beating tourism heart of Pescara and makes for the perfect place for a long stroll or a sandy picnic. Ponte Del Mar: The sea bridge is another excellent place for a walk and you really can’t miss it on a visit to Pescara. Built in 2009, this 466 meter long bridge is still one of the longest pedestrian and cycle bridges in Europe and purposefully resembles a sail with a leaning mast. It spans the mouth of the Pescara river and connects the beaches north and south. Explore the old town: The old part of Pescara is made up of two short parallel streets lined by traditionally built south Italian houses. The birthplace of Gabriele d’Annunzio has been turned into a museum and is worth a visit. Sitting along the Adriatic coast just north of Bari in southern Italy, the large town of Barletta has a few interesting historic monuments including the largest known bronze statue from Ancient Roman times, Colossus, and the Barletta castle, but it also boasts some decent beaches and a less touristy vibe. With a population of 90,000 or so inhabitants, modern Italian suburbs and a bustling port, Barletta isn’t a major tourist destination, but it’s a pleasant place to stop for lunch or for a stroll and makes for a good day trip from Bari. The historic town centre is nice enough, and there are some good restaurants in town, but many people who visit Barletta also pair it with a visit to the more attractive fishing village of Trani to the south. Barletta Castle: Surrounded by an original moat that has now been transformed into gardens, the castle entrance is to the south of the Piazza Castello square and accessed via a stone bridge. The Municipal Museum and Art Gallery: Here you’ll find some masterpieces by Giuseppe de Nittis, a native painter to Barletta and one of the leading exponents of Italian paintings in the late 19th century. The small port town itself isn’t somewhere that immediately jumps off the map and forces itself amongst the “must see places to visit in Italy” on one’s travel itinerary, but the balmy stretch of palm-fringe coast actually creates a relaxing atmosphere. It’s also a good place to base yourself if you want to check out the nearby towns of Monopoli, Alberobello and Ostuni, all of which can be reached by train quite easily in an hour or two. The Port: The city is centered around the port and the area provides great walking and boat spotting opportunities. The Roman Column: This white column stands above the stairs that lead to the waterfront promenade. Brindisi Cathedral: Located in the Piazza Duomo (another don’t miss spot in Brindisi) this 11th century cathedral was built in Romanesque-style. If you’re looking at Brindisi Cathedral and thinking there’s no way it’s 1000 years old, that’s because the original structure was leveled by an earthquake in 1743, so what you see now is the 17th century reconstruction. 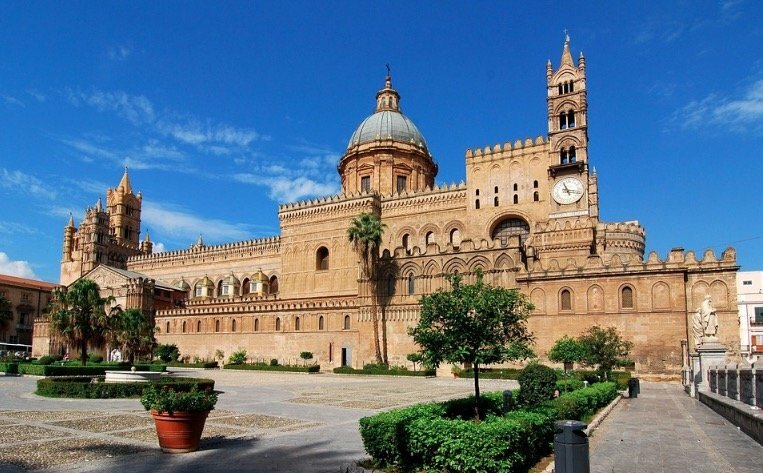 The capital and largest city in Sicily, Palermo stands as a testament to the incredible Baroque architecture and a mix of cultures – a direct result of historical occupation by all of its neighbours. It is a romantic city that changes continually, is full of energy, and has reclaimed its place among Europe’s best cultural cities. You’ll want to spend a few days here, soaking up the atmosphere, getting lost in the back streets and feeling the rich culture of Sicily as well as its international flavour. The city is alive, buzzing, intoxicating and addictive. You may want to stay longer than you planned. This is one of the must see places in Sicily for sure. Mercato di Ballarò: Fabulous markets like Mercato di Ballaro exist in Palermo thanks to cultures mixing here for centuries. Get lost in a maze of frantic energy, tasty produce, meat, olives and cheese. Cappella Palatina: If you only see one chapel during your visit to Sicily, make it this one (but be sure to wear shoes and long pants as there is a dress code). Inside you’ll find brilliant gold mosaics, a stunning marble floor and a wooden ceiling that is carved with intricate Arabic-style honeycombs. Teatro Massimo: If Capella Palatina is the only chapel you see in Sicily, then Teatro Massimo should be your only opera house. This stunning six-tiered art-nouveau structure is Europe’s second-largest opera house and one of Italy’s most prestigious theaters. The capital of the province of the same name, Catanzaro itself isn’t the most visually stunning city in Italy.. to say the least. But it does have some redeeming qualities. If you head out-of-town, you can find the gorgeous Cascata Campanaro that is surrounded by hiking trails and some lovely scenery. Aside from some cool bridges, nice green spaces, nearby natural scenery and some good restaurants, there’s also a nice beach at Catanzaro Lido. Cascata Campanaro: A waterfall outside of town that is definitely worth visiting. There are some great hiking trails nearby as well. Catanzaro Lido: The best beach in town, a great place to chill on the sand and relax for an afternoon, or go for an early morning stroll (before it gets too hot). The Biodiversity Park: This was once the city’s top tourism draw and still may just be. It’s a great place to walk around and spend an afternoon. Inside you’ll find botanical gardens, a military museum and a playground. While this list is long and includes many off-the-beaten path places to visit in Italy, it’s by no means exhaustive. This is one of the world’s best travel destinations and somewhere that everyone should visit at least once. If we had to narrow this list down to our absolute favourite places to visit in Italy, I would say that you shouldn’t miss Rome, Florence, Naples, Tuscany and Bologna. What places did we miss? What are your favourite places to visit in Italy? Share with us in the comments below!